We were not planning on getting a puppy before our vacation. Pets Are Inn took away our worries of leaving our puppy for nine days! We love Pets Are Inn! Duffy always comes home happy and healthy! We also love the pickup and drop off! Pets are Inn does a terrific job of caring for our dog when we are away. Our dog is a bit older, so having her in a kennel is not a great option. Instead, Pets are Inn found a wonderful ‘host’, who took wonderful care of our dog, allowing her to sleep and relax in the comfort of a home. The cost is comparable to that of a kennel, but the attention provided to our dog is much, much better. 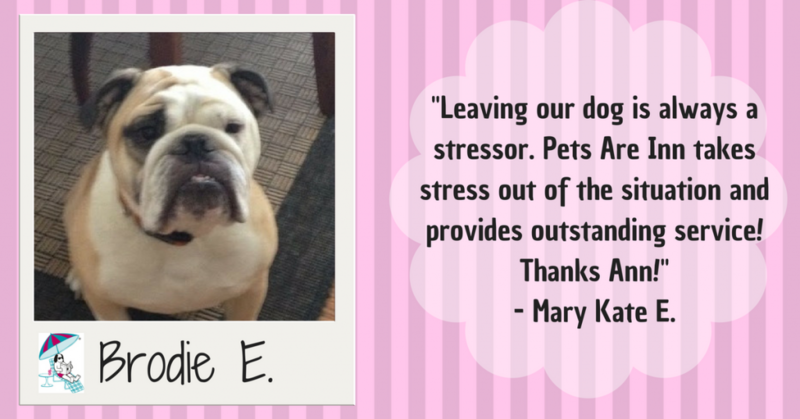 We are very grateful to Pets are Inn — we can now travel without worries for our dog. The owner and office manager are wonderful and very accommodating to travelers’ schedules. It’s a really terrific service! Sadie was treated like a member of the family. She obviously was quite comfortable and well-rested. Loved the photographs and accompanying written account from the host. Very sweet and beyond the call of duty. You provide a wonderful service to those of us who feel our pets are our “children”. Thanks to you and the Host Family for taking care of Miles & Rio during our recent trip. It was great receiving your text messages with the update as well as the nice note from the Host Family. We know that Miles and Rio had a great time and it sounds like the Host Family enjoyed them as well. Thanks again for your friendly customer service and look forward to using Pets Are Inn again in the near future. Great Service!! Can’t wait to use again! I am so thankful to have found an alternative to kennels! Charlie came home relaxed and happy. I am very pleased with our Pets Are Inn experience. Thanks for taking good care of Lucky! It was such a relief to have an alternative to kennelling for our dog. She’s a rescue dog and couldn’t bear to send her back to a shelter like enviornment. 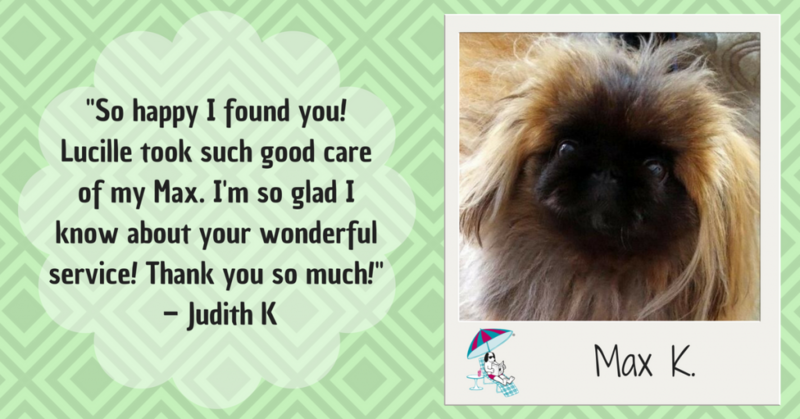 We felt like our dog was being placed in a home where she would be well cared for…! We LOVED our experience with PAI and will refer to you and use you again. It’s a pleasant experience using Pets Are Inn. We know our “precious ones” are cared for, and loved just as they are at home. We’re so grateful for a loving host family for Cricket – we will request them again next time. Curteous, kind, caring, professional service from the reservation assistant, as well as Ann. Thank you again for being so accommodating on such short notice. I loved getting a phone call shortly after my dog arrived at the host family. This left me with the image of him sitting in a chair, rather than nervous and shaking in his kennel. Our caregiver made us a wonderful diary with great pictures. Most important – we felt our pet was cared for. Jasper had a wonderful “vacation”. I really appreciate the phone call after Maggie was dropped off at her host family. Ann called to let us know that she seemed happy and glad to be at Pat & Bud’s house again. It was great to hear and we were able to leave on vacation without any worries. I LOVE Pets Are Inn. Honestly, PAI (Pets Are Inn) gives me the freedom to focus on myself when out of town and not my pet. I don’t wonder if he’s getting great care. I KNOW he is. I appreciate the wonderful, high quality service PAI has provided me over the years.!! In all these years (over 13) there have only been 2 issues and they were addressed immediately. I always feel like they have the animal’s best interest at heart. Great Business! 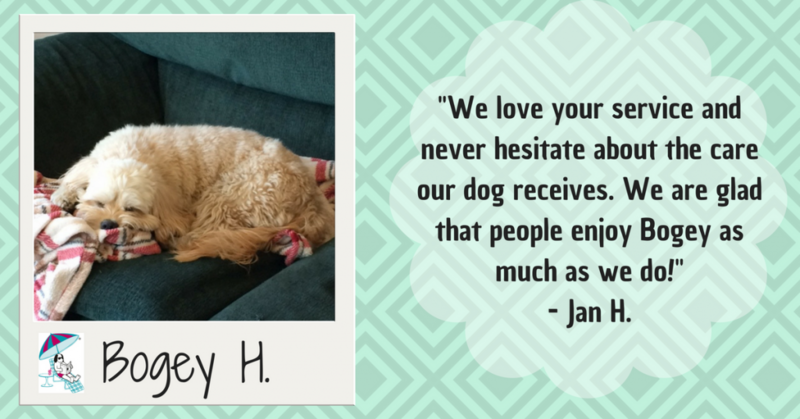 We are thrilled with the caring owners and with Leah’s obvious love and caring for Chessie! Waited a week (before I responded to your survey)to see how Charlie did (after his return home). He was great – we can tell he had excellent care. We wish we had knowledge of your organization sooner! Keep up the great work! Wili had a great family. Great service. I loved the fun letter the host sent back. it was our first time – I liked how thorough you were over the phone. We have an older dog so it was a good fit for us. We are very happy with the service from the Pets Are Inn staff and the quality of the boarding homes. Thank you! I can not make suggestions for improvement as it’s already perfect. Diamond loves Kathleen and family….he jumps in your van the minute you drive up our driveway!